Sri Reddy took to social media to appreciate Ram Gopal Varma’s recently released film Officer starring Nagarjuna. Controversial queen Sri Reddy, who hit the headlines over her protest against casting couch, is back in action. 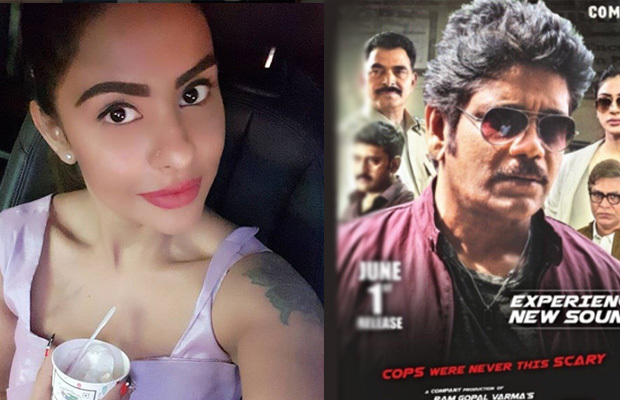 Sri Reddy took to social media to appreciate Ram Gopal Varma’s recently released film Officer starring Nagarjuna. Coming back to Officer, the film is receiving mixed reviews and has witnessed average business at the Box Office. After their successful combination of a path-breaking film like ‘Shiva’, RGV and Nagarjuna have teamed up after a long time, which is one of the highlights of the film. Going by the reviews, Nagarjuna’s fiery look as a foolhardy cop has created an impact. The audience can’t stop praising Nagarjuna’s performance in the film. Well, the first-day first show reviews were positive and looks like the film has averagely managed to impress the audience. Produced by Sudheer Chandra and Ram Gopal Varma under the banner, ‘Company’, Officer stats Ajay and Sayaji Shinde in the key roles.